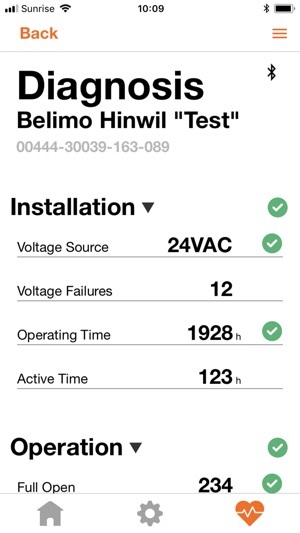 Complete transparency at all times regarding your Belimo HVAC actuator solution and the operation of your system. 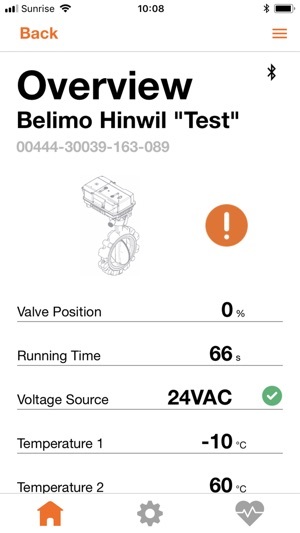 With the Belimo Assistant App plus a ZIP-BT-NFC converter, your iPhone provides wireless on-site operation for VAV, dampers and valve actuators of the latest generation! Efficient commissioning, rapid function checking during operation, handy to use and ready whenever service is required. Simple adaptation for conversion. Document and send your setting and operating data. Pair your iPhone with the Converter. 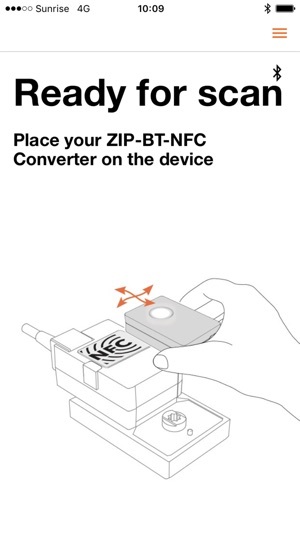 Place the converter on the Belimo Device – align to the NFC-Logo. • The App can be installed only on an iPhone with iOS 9+. 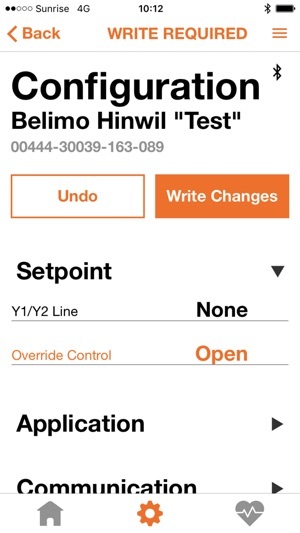 • The App collects statistical data from BELIMO devices and transmits these data to the BELIMO cloud. These Statistical Data shall be processed for the purposes of future optimization and further development of the BELIMO devices as part of anonymous analyses and statistical evaluations. Only data concerning the communication between the BELIMO device and the app and information about the BELIMO device and the device on which the app is located are transmitted which do not allow any conclusions about persons using this service. • Actuators without NFC interface are operated with the conventional tools. These tools support the previous product range, as well as the NFC versions.